An unusual design for a sari fabric but stunning none the less! Glamorous enough for the most special of occasions and with just three being made your hound will have a really special collar. The richly embroidered fabric used to make this collar is taken from the boarder edge of a silk blend sari. It is made of an aqua coloured base fabric with an embroidered design of of scrolls in Burnt orange, cerise pink and lots of gold metallic threads! The collar is lined in aqua coloured fabric and has a peppermint coloured webbing martingale section covered with dusky light blue coloured Swiss velvet. Just three of these collars will be made, all are 5 cm (2") wide. The Standard sized Martingale collar is adjustable from 28cm (11") up to 43cm (17"), with an additional 7cm (3") in the webbing section to allow for easy fitting. 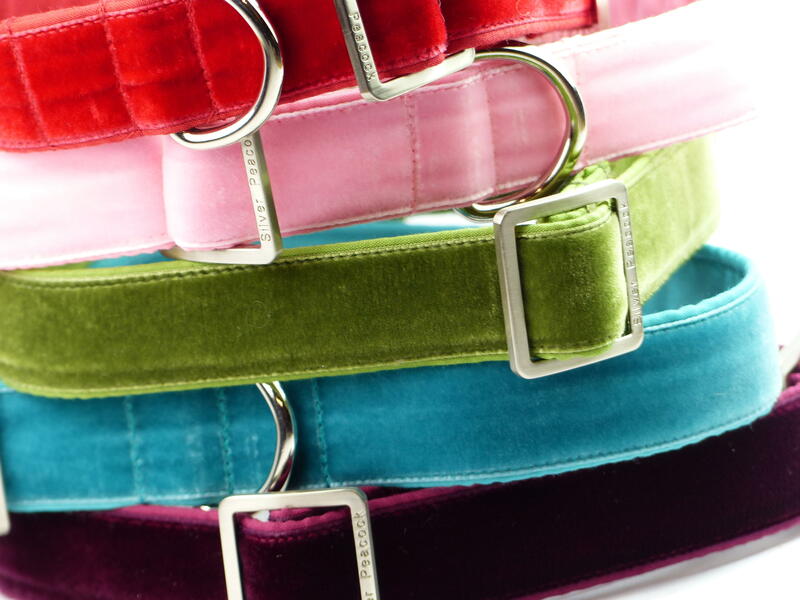 This collar is the ideal size for larger dog breeds (i.e. Larger Lurchers, Deerhound, greyhound, saluki). The Small sized Martingale collar adjusts from approx 22cm (9") up to 32cm (13") again with the additional 7cm (3") in the webbing section . 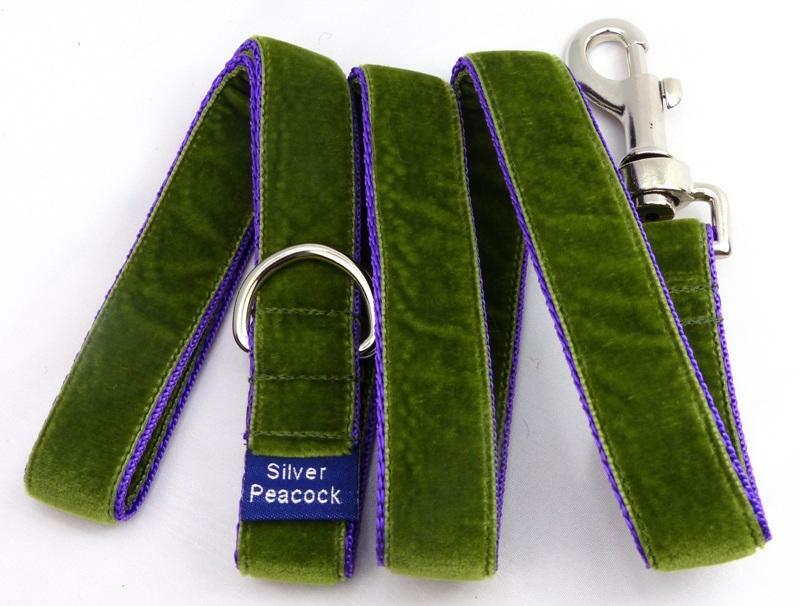 This collar is the ideal size for smaller hounds (i.e. Whippets, and smaller Lurchers).